How to watch Instant Hotel: Season 1 (2018) on Netflix Singapore! Yes, Instant Hotel: Season 1 is now available on Singaporean Netflix. It arrived for online streaming on December 29, 2018. 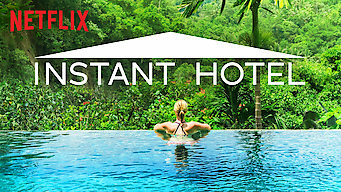 We'll keep checking Netflix Singapore for Instant Hotel: Season 1, and this page will be updated with any changes. Teams of Australian homeowners compete for the title of best Instant Hotel by staying overnight in each other's rentals and rating their experience. When these guests check in for the night, they're checking out the competition. 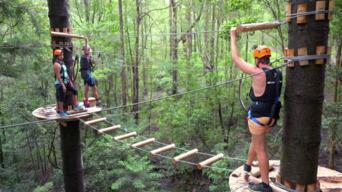 Homeowners vie to see whose vacation rental gets top marks. Season 1 of Instant Hotel has 12 episodes. Because different Netflix countries have different availability for episodes, you'll need to check the episode listing below to see which are available in Singapore. In the town of Humpty Doo, Adam and Kathy offer up an airy hideaway featuring an impressive pool but a lack of privacy. Oh, and bugs -- lots of bugs. 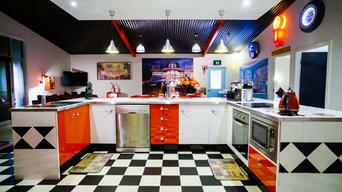 Everything '50s is cool again in the rocking, retro digs of Mark and Jannine. But as wine from the surrounding Barossa Valley flows, tensions flare. All is not quite as advertised at Sam and James's swanky Byron Bay-adjacent oasis, where crystals and mosquitos are plentiful, and questions abound. Mother-daughter duo Babe and Bondi's glam Bondi Beach party pad serves up a naughty ode to Margaritaville -- and brings out the salty side of one team. 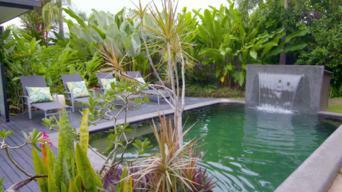 Heading into the first-round final, great expectations await Brent and Leroy's meticulously decorated Port Douglas home. Does it live up to the hype? Five new teams arrive in Brisbane to judge Terry and Anita's expansive Zen retreat, where a room with an uncomfortable view proves less than relaxing. Quarters are scenic but cramped in Mildura as the teams cruise the Murray River on a houseboat belonging to chill brother-sister pair Bec and Tristan. 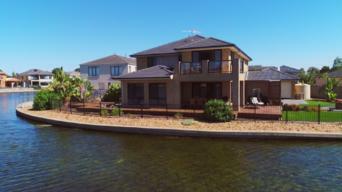 In a Melbourne suburb, Serena and Sturt's family residence leads to a fight over the master suite, some spying and an ill-fated trip to the wetlands. The situation turns hairy at Lynne and Simon's sleek Gold Coast property when a clown and a camera make guests uneasy -- and a cardinal rule is broken. Anticipation runs high for Mikey and Shay's much-hyped suburban Sydney mansion, which boasts big-name art and creature comforts with actual creatures. Ahead of the final judgment, Babe and Bondi once again open the doors of their glitzy digs, where recent home improvements bring guests to tears. 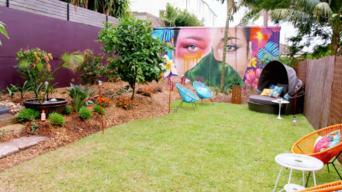 The competition wraps with a return to Terry and Anita's serene Brisbane abode. And with the grand prize on the line, the judging is anything but Zen.